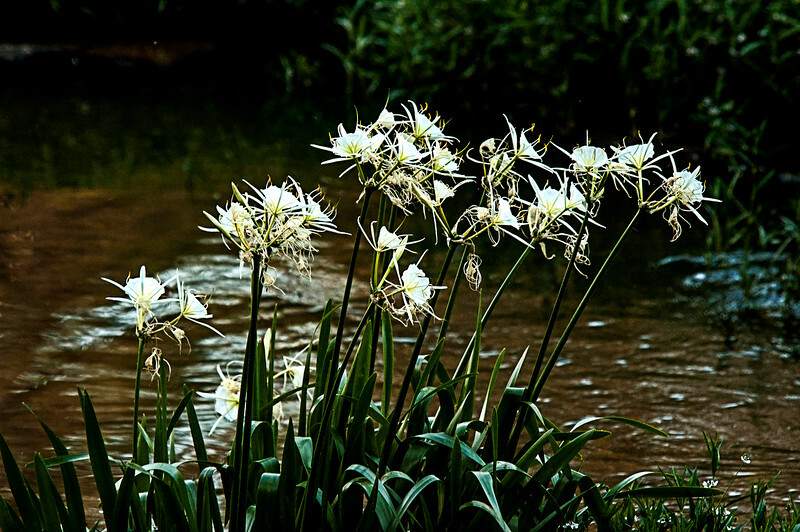 From early May to late June, the shoals of the Cahaba River are transformed into a showcase of floral delight as the rare Cahaba Lily blooms. Found only in Alabama, Georgia, and South Carolina; the Cahaba Lily requires swift current and direct sunlight to flourish. The largest stand of this flower in the world is located at Hargrove Shoals, about 2.4 miles south of a good canoe put in located at the Co. Rd. 24 bridge near Piper, AL. The plant grows to about 3' tall and develops from a bulb that lodges in between rocks in the shoals. It flowers from roughly between Mother's Day and Father's Day. Each delicate, lightly fragranced flower blooms for one day.